NORWAY. 2012. Vesteraalen. 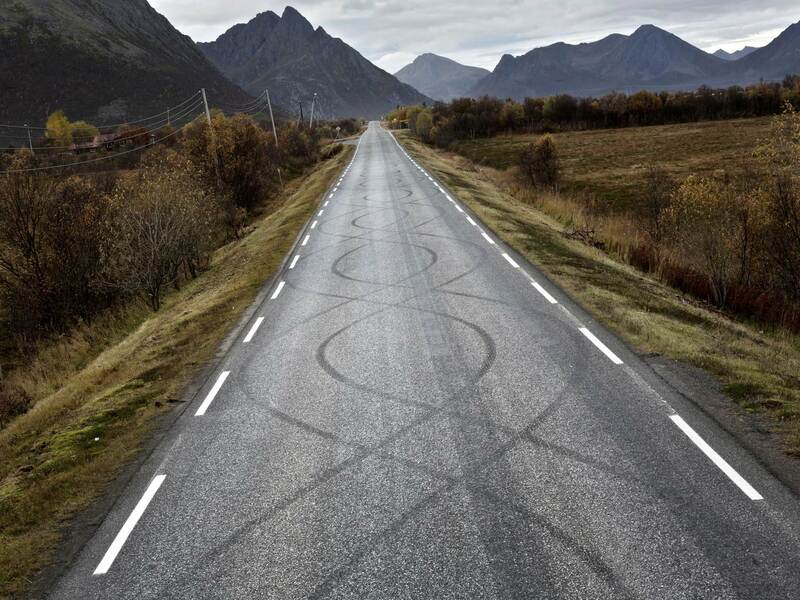 Rubber tire skid marks form artistic figure-8s on the road out from Myre. Myre is home to many car enthusiasts.